Human Capital Priority Stream nominates the individuals who have qualified for Citizenship and Immigration under Canada’s Express Entry pool after checking the education, employment, and suitability records. This check ensures that they are ready and effective for the labour market of Ontario. 0.1 How does the Stream work? How does the Stream work? Before applying to the Human Capital Priorities Streams, one must have received the PT Notification of Interest from Ontario through the MyCIC account. The application must be received by OINP within 45 days after this notification is issued otherwise they will not be further entertained. You will be eligible to OINP under this stream if you are a refugee claimant or not accepted into the Express Entry Pool. Remember: Application will be non-refundable at any point of the application under any circumstances. For any queries please send your CV at wecare@immigrationexperts.pk. This assessment is completely free of cost and we will respond back in two working days. First step of application is to register for CIC’s Express Entry System. By this, you will receive a unique Profile Number and a Job Seeker Validation Code. After registration, you must specify the area for immigration i.e. Ontario or “All Provinces and Territories”. You must qualify either the Federal Skilled Worker Program (FSWP) or the Canadian Experience Class (CEC). For further information see Application Guide or CIC website. 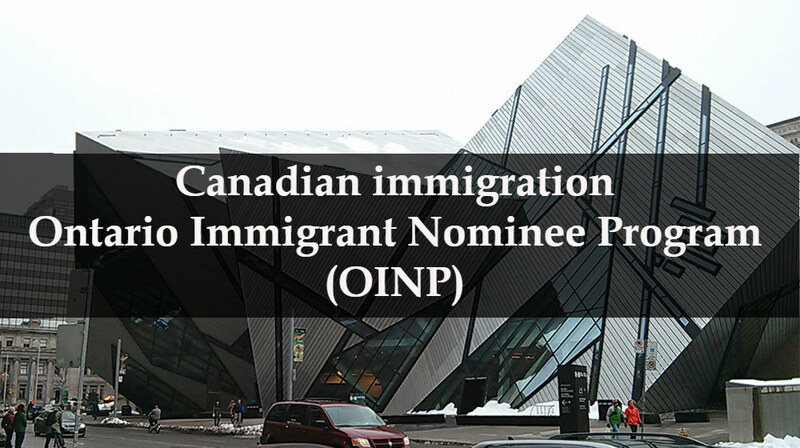 OINP searches the Express Entry pool to check the eligibility of the candidate. The candidate should have a minimum score of 400 on the Comprehensive Ranking System (CRS) and meet the criteria of Ontario’s Human Capital Priorities Stream. If the candidate is identified eligible then he will receive PT notification on MyCIC account which will invite him to apply to OINP for the nomination. Once a PT notification is received, 45 days are given to apply to OINP under the Human Capital Priorities Stream. Fill out the application form and ensure that all supporting documents are with you. Federal Immigration program of interest must be indicated against which the applicant will be assessed i.e. FSWP or CEC. Applications will be assessed by Human Capital Priorities Stream and FSWP or CEC eligibility criteria. After the approval of the application by Ontario, a notification letter is given by OINP on MyCIC. 30 days are given to accept that notification. This nomination gives 600 CRS points and the invitation to apply (within 60 days) for permanent residency will be given. During the assessment of application eligibility criteria is matched with the Canada’s Immigration and Refugee Protection Act. If you want to know more about Canadian Immigration, you can always contact us. At Immigration Experts, we offer high-quality services to our valuable customers. We offer Australian Immigration, New Zealand Immigration, Canadian Immigration, and a lot more.